A massive joint army, police and council blitz under Operation Restore Legacy will today ignite a possible confrontation with vendors and illegal foreign currency dealers who have trickled back into Harare’s CBD. The message was delivered jointly by the Zimbabwe Republic Police (ZRP), Zimbabwe Defence Forces (ZDF) and Harare Municipal police who spent the better part of yesterday going through Harare Central Business District (CBD) warning informal traders to pack their stalls and vacate to designated sites. Two trucks carrying members of the uniformed forces weaved through the CBD delivering the message to stunned vendors who had thought the ouster of former President Robert Mugabe had given them a licence to go back onto the streets. Speaking through a loudspeaker microphone, a municipal police officer bellowed: “Mangwana chakachaya, tirikukuyambirai budai mutown. Mangwana chakachaya, dzoserai zvingoro kwamakazviwana. Tirikukuyambirai seZimbabwe Republic Police, army ne municipal police, budai mutown. (We are urging you to move out of the CBD. Tomorrow will be a bad day for you if you choose not to heed this call, take the push-carts back to where you got them from. We are advising you as ZRP, ZDF and municipal police – get out of the CBD). This comes as ZDF and ZRP have disclosed that while the later has now resumed its duties after being inactive for nearly two weeks, it will be shadowed by the military. Yesterday some packed their stalls yet others continued to go about their business. City of Harare spokesperson Mike Chideme could not be drawn to give a time-line of how long the operation will take but was confident that the three-pronged blitz will restore the Sunshine lustre of Harare. “This is not a stop gap measure. Vendors, mushika shika must just go where they belong. This is Operation Restore Legacy. We want to restore the sunshine legacy of Harare. “We have been conscientising vendors from yesterday (Saturday) and today Sunday giving awareness so that tomorrow (today) we don’t chase anyone. People must just go to their designated sites, Chideme told Daily News yesterday. While the authorities insist the operation against vendors in the CBD is meant to guarantee safety, hygiene, promote lawful business conduct and ensure smooth flow of traffic, Zimbabwe Informal Sector Organisation leader Promise Mkwananzi said government should first provide jobs before kicking out vendors from the streets. “We are going to stand with the vendors for death or for life, until and unless the economic challenges are resolved and employment is created. We are not stealing from everybody,” Mkwananzi said. About two months ago, Mugabe ordered authorities to flush out the vendors and other informal traders from the Harare CBD, arguing they were a menace, making the capital filthy and chaotic. The 93-year-old leader’s decree saw law enforcement agents and vendors involved in endless running battles which were brought to an end by the military intervention which subsequently forced Mugabe to resign. “When I arrived from South Africa, I heard that Harare is now dirty with vendors now everywhere, even streets which were given names such as (Julius) Nyerere and (Robert) Mugabe are now covered with dirt. Some vendors are selling their wares during the night so that they cannot be arrested,” Mugabe said then. But despite being declared persona non grata, the vendors remained defiant, arguing they have no other forms of livelihood due to the high unemployment levels in the country. The operation seeks to register with the local authority every vendor who wishes to trade within the city centres designated sites. It seeks to have push carts driven out of the city centre and those doing wholesaling moved to Mbare and Lusaka markets. “We adopted a framework for the renewal of the city through decongestion. 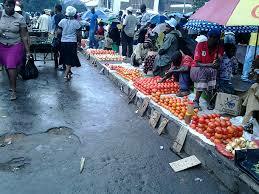 We currently have about 20 000 vendors in the CBD. Some of them had been registered to operate in the various suburbs and designated sites but they have abandoned their sites,” acting town clerk Josephine Ncube said recently.